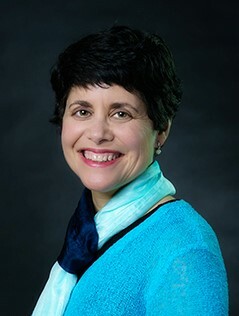 Alisa Blum is Principal Consultant at Alisa Blum & Associates, specializing in helping organizations to develop and keep a high-achieving workforce. Information about their programs and services can be found at www.developtopemployees.com. In this interview, she provides tips and advice on how to create environments where millennials thrive, and help their employers thrive. Jathan Janove: What’s your definition of “Millennial”? Technically, millennials are those born between 1981 to 1996. It’s important to understand that not everyone born between 1981 and 1996 identifies with typical work styles and behaviors of a millennial. Also, people in other generations may identify with typical millennial work styles and behaviors. Jathan: What are the most common workplace challenges millennials face? Their most common challenges include: not enough feedback from managers (especially a lack of recognition of their accomplishments), not being able to advance as fast as they would like, frustration with workplaces that don’t support innovation, and frustration with employees who are resistant to adopting new technologies. Jathan: What are the most common mistakes employers make in managing and employing millennials? Often, employers don’t realize that millennials will not hesitate to leave if their needs for career development and career advancement aren’t being met. Employers need to realize that millennials may be hesitant to directly express their needs, so managers need to initiate these discussions. Also, managers often don’t realize the importance in giving millennials the positive feedback they desire. Jathan: What steps can employers take to maximize millennial job satisfaction and productivity? Engage them in discussions at the beginning of their employment about their career goals and how their individual career goals fit with the goals of the organization. Then develop a plan that meets both the individual and organization’s needs. Give them frequent positive feedback. It’s often not necessary to schedule a meeting for this to occur. Many times a short text or email will suffice. Reward innovation. Millennials are motivated by meaning and purpose in their work, so communicate how the organization is having a positive impact with the products or services the organization provides. Give them opportunities to be involved in their communities. Provide opportunities for cross-mentoring where they can get mentored by more experienced employees and can provide tech assistance to those employees who may have difficulty adapting to new technologies. Jathan: What other advice or suggestions would you offer employers seeking to make the most of their millennials? Provide opportunities for all of the generations in the workplace to gather together to learn how to maximize their strengths and enhance communication. Author’s Note: Alisa is willing to provide a complimentary consultation to anyone who wants to discuss specific ways to maximize millennials and successfully work across generations. She can be reached at alisa@developtopemployees.com or (503) 481-7586.